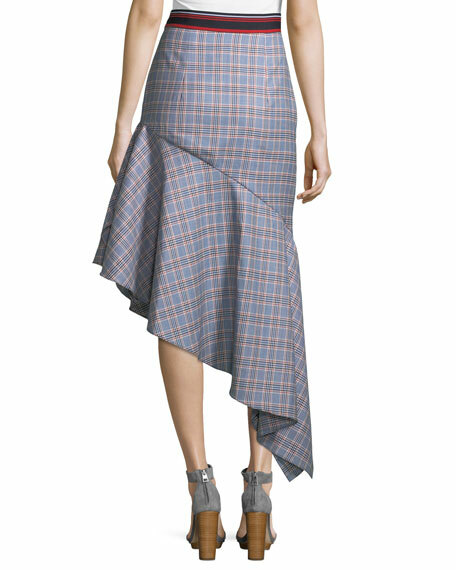 Milly "Charlotte" asymmetric midi skirt in check suiting with striped waistband. 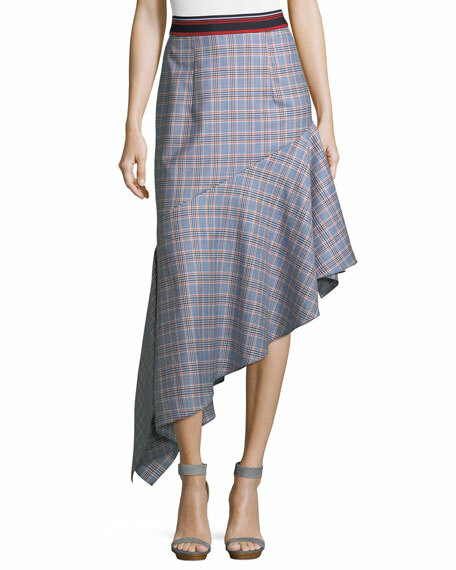 Ruffled hem cascades from left knee to right ankle. For in-store inquiries, use sku #2370237.